“I shook up the world!” Famous words uttered by “The Greatest” that not only came to define Muhammad Ali himself, but also the victory of the underdog. 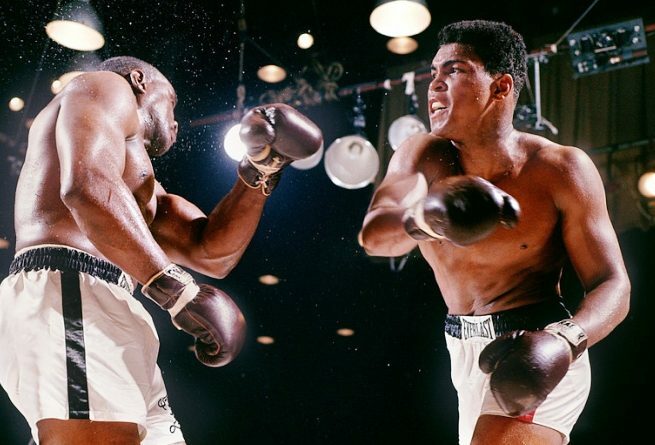 No one gave Ali, then Cassius Clay, a chance to beat Sonny Liston, the monstrous and intimidating heavyweight champion of the world, the man who had twice demolished Floyd Patterson in less than a single round. But beat him Clay did, proving once again that the odds don’t predict the outcome. Cassius Clay shakes up the world. Of course Ali is far from the only fighter to topple a giant from his pedestal. Who can forget when Buster Douglas overcame 42-1 odds to vanquish undisputed heavyweight king Mike Tyson? What about April 22, 2001 in South Africa, when Hasim Rahman flattened Lennox Lewis, the champion of the world, with a single right hand bomb? Other upsets come to mind: Lloyd Honeyghan stopping Donald Curry to become undisputed welterweight champ, and Roberto Duran winning the decision in a brutal war over the younger and bigger Iran Barkley to claim a middleweight strap. I have always admired the plight of the underdog, those fighters who are counted out and written off before their opportunity to compete has even arrived. Perhaps the primary reason is their mindset of absolute faith and determination. Despite the fact few give them any chance to prevail, they believe in themselves with complete conviction. Having that amount of self-belief is inspiring and deserves admiration because, as most of us know only too well, it’s easy to be consumed by self-doubt. 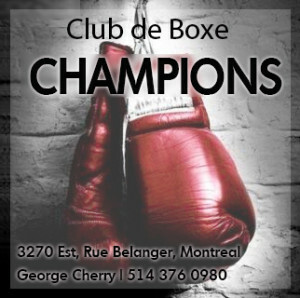 We all have doubts about our abilities at one point or another, so to see others overcome and overpower them and go on to triumph on the grand stage of a championship boxing match, that is truly inspiring. That’s why underdogs deserve our respect. They show us that, no matter the odds or the prophecies of the naysayers, victory is always possible. 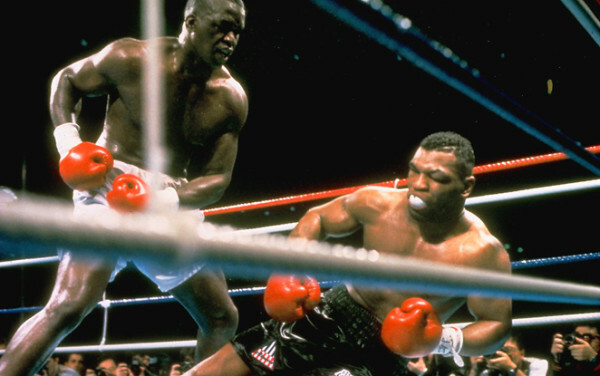 Buster Douglas stops Tyson: we all identify with the underdog. Another reason why I love the underdog is because I identify as one. Now I will be the first to admit, my upbringing is not synonymous with hardship or poverty. I am lucky enough to have been raised in a middle-class home, where my siblings and I were provided with all we needed. But, like everyone, I’ve had my struggles and I got through them with hard work and persistence, and I will continue to work, no matter the obstacles, to build a successful career and life for myself. Many of you may view yourselves the same way, that you possess the characteristics of the underdog, because you have had to go through your own trials and tribulations. It wasn’t easy to rebound from your own personal setbacks and battles, but you kept fighting and working and eventually found some breathing room. Facing what seemed at the time like insurmountable odds, you found a way to persevere and overcome. 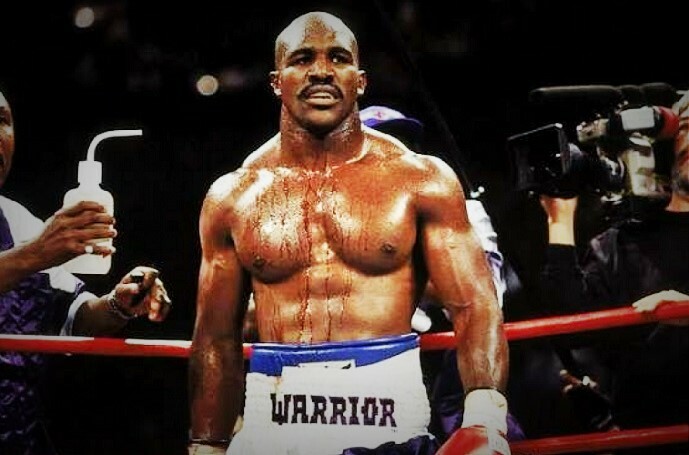 So when it comes to boxing, one particular fighter whose career embodies that of the underdog and who has special significance to me is Evander Holyfield. 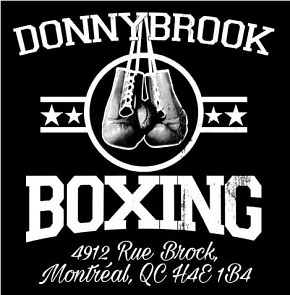 I want to pay tribute to the man they call “The Real Deal” because he recently received his call to the International Boxing Hall of Fame as a member of the 2017 class. Holyfield’s career was often a battle against the odds, even from the beginning when he started out as a cruiserweight. He was a definite underdog when, in only his 12th pro fight, he challenged experienced veteran and respected champion Dwight Muhammad Qawi, who dwarfed him in regards to pro ring experience. Although Holyfield was younger and fresher, many thought Qawi was too big a challenge for Evander at that stage of his career. 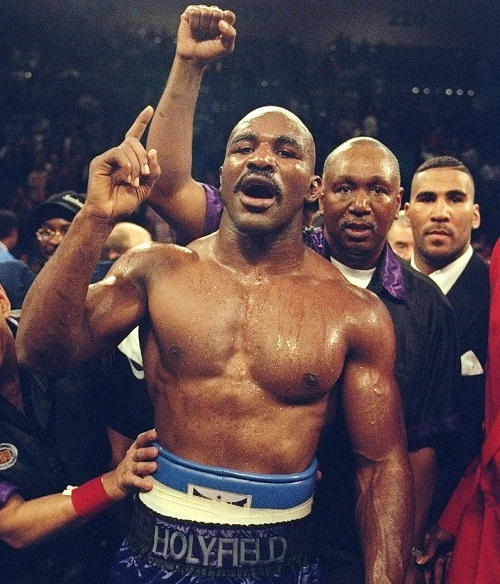 Holyfield in 1996 after his upset win over Mike Tyson. In an incredibly grueling 15 round slugfest, one later hailed as the cruiserweight “Fight of the Decade” by Ring magazine, Holyfield and Qawi went to war. Proving the veracity of his nickname, “The Camden Buzzsaw” applied unrelenting pressure on his young challenger, imposing his style of vicious trench warfare. 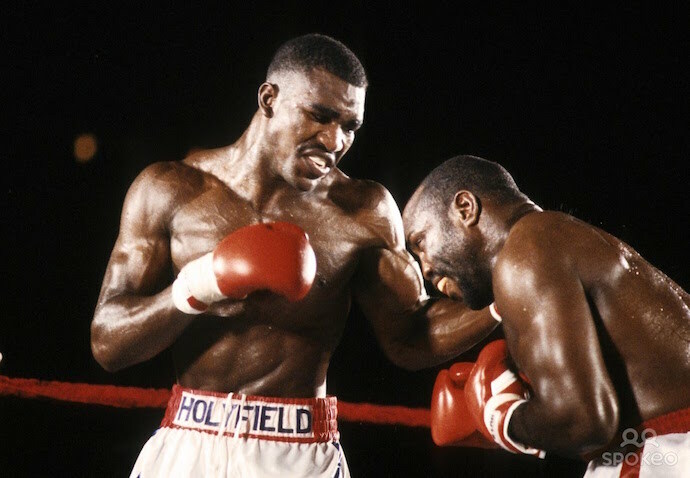 Holyfield had some success keeping the distance and boxing at range, but he was forced to trade in close quarters more often than he desired. But “The Real Deal” gave as good as he got on the inside and used his quicker hands to outwork and outland the champion. The battle took a huge toll on both men, with Holyfield losing 15 pounds of water weight during the fight and even urinating blood after it was all over. But it was somehow only fitting that Evander would have to emerge from such a brutal war to become champion and in the process demonstrate to himself and the world his astonishing heart, will and determination. Holyfield and Qawi gave fight fans a bruising 15 round battle. Those qualities would be called upon again and again in a career that saw Evander Holyfield repeatedly battle fighters who were naturally bigger and heavier. Another time when Holyfield proved the doubters wrong was when he went tooth and nail with Riddick Bowe in three fights, a man who vastly outsized him in height and weight. In the incredible tenth round of their first battle, Bowe landed a monstrous right uppercut that jolted Holyfield’s head back and put him in a world of hurt. 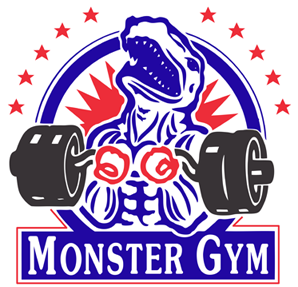 The much bigger challenger, heavier by some 30 pounds, proceeded to hammer Holyfield around the ring, unloading vicious power punches to the head and body. To everyone’s amazement, Evander not only remained upright but eventually turned the tide in his favor, ending the round in control and out-landing his arm-weary opponent. Holyfield and Bowe rumble in 1992. Although Holyfield lost that fight, he proved his unrelenting spirit by surviving that hellacious tenth round and going the distance with Bowe, who was arguably the career-best version of himself on that November 1992 night. And Evander proved himself again, not to mention scoring another upset, when he came back and defeated Bowe in the rematch one year later. 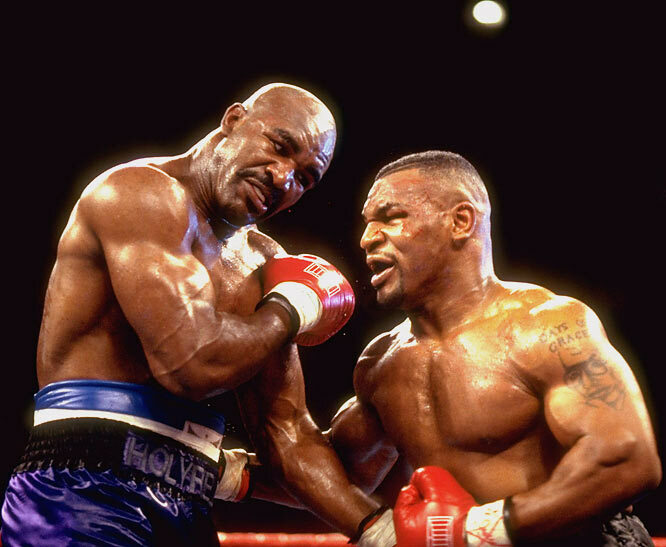 Of course there’s no better example of Holyfield’s capacity to upset the odds than the night he finally took on Iron Mike Tyson in 1996. Although Tyson was not the invincible force of his prime, he was still the most feared heavyweight on the planet. “The Real Deal” was a 17-1 underdog heading into the clash and most experts viewed his challenge of “Iron Mike” as a suicide mission, one where the question of the match wasn’t who would win, but could the challenger survive the match without serious physical damage. But Evander Holyfield paid no attention to what the outsiders and skeptics believed; all he needed was to believe in himself and he did so unfailingly. 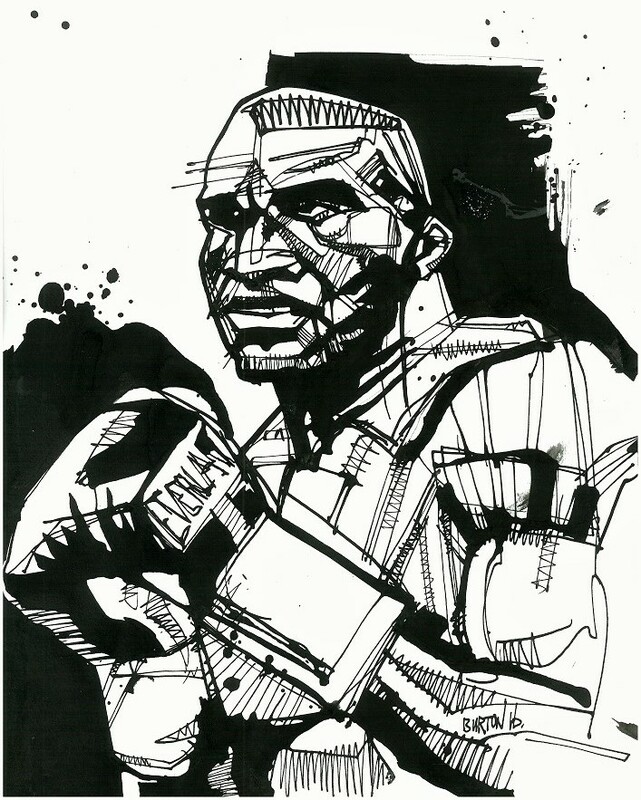 Evander Holyfield: Ink drawing by Damien Burton. 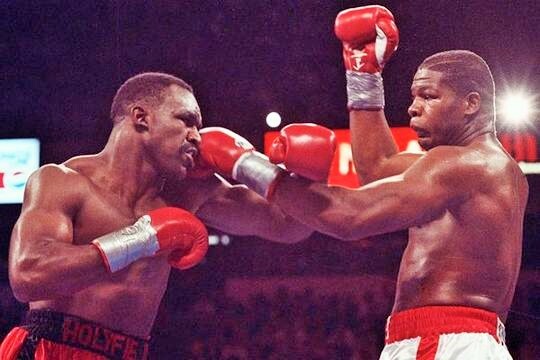 During the fight, the Atlanta native had to endure some tough moments, weathering some big shots from one of the most explosive punchers in the history of the heavyweight division. But never did Holyfield’s fighting spirit fail him. He took those bombs and made sure to always respond in kind, punctuating every exchange with his own solid blows. He was determined to stand up to Tyson and show him he wasn’t the least bit intimidated. In instances when “Iron Mike” threw a punch after the bell and Holyfield always immediately retaliated, making sure to get in the last shot. This was all part of Evander’s psycholgical gameplan, to impose his will and sear into Tyson’s mind that he could not intimidate the underdog challenger. And it worked, as Holyfield bullied the bully, on the way to scoring one of the greatest upsets in boxing history. Thank you! It hits home for me and I wanted to make that clear. Happy you enjoyed.